Macの画面上に花火を打ち上げるアプリ「Fireworks Tap」が無料セール中。 | AAPL Ch. This app was created for my infant son. 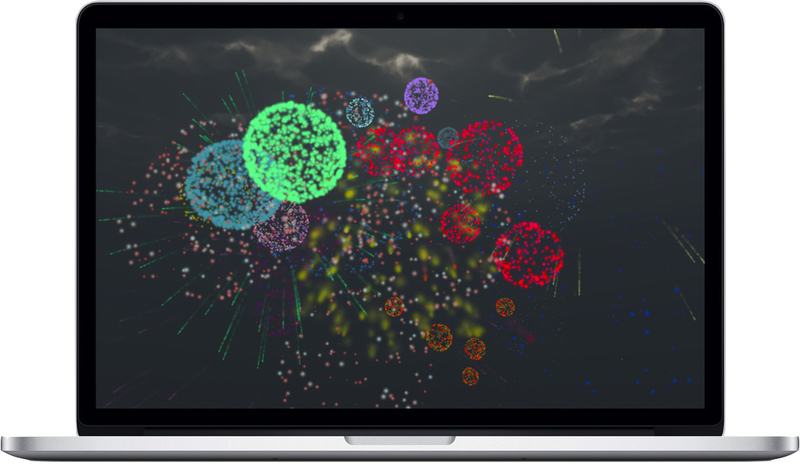 Tap your mouse or tap your keyboard and watch the fireworks explode! To make this app baby proof all menus and options have been removed. No extra buttons and no ads to tap on makes this perfect for toddlers! Tap and drag the mouse to set off a string of fireworks! Press the space bar to set off a grand finale!